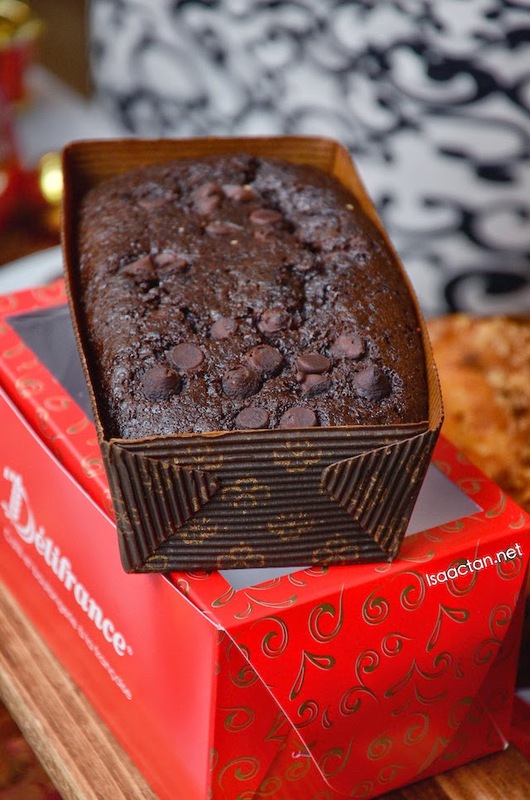 This Christmas, Delifrance Malaysia would like to share with its customers a variety of new festive menu offering with new cakes, chocolate and bread. 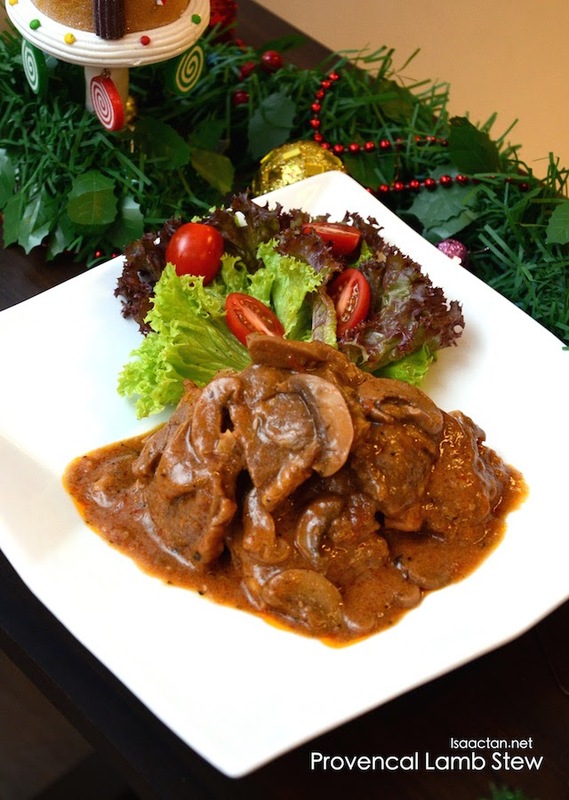 Delifrance Malaysia aims to extend its menu offerings to enhance customers' dining experience during this festive season. It has been a while since I dined at Delifrance, hence I really looked forward to the interesting dishes offered for the upcoming Christmas season. Both the Santa Play Land Gift Cake and Rocky Land Gift Cake came with these cute 'Merry Christmas' decorations on it. 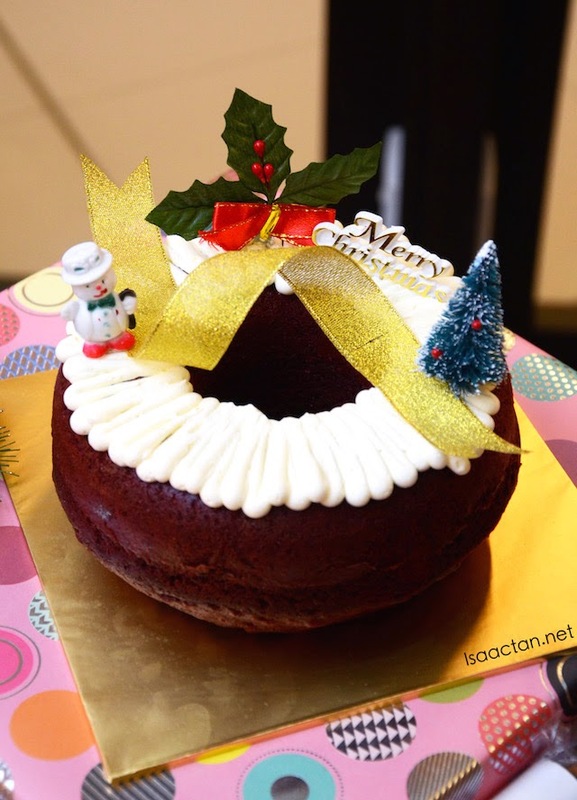 The Santa Play Land Gift Cake is essentially a red velvet cake topped with sour cream cheese while the Rocky Land Gift Cake is a belgian chocolate cake topped with ganache. 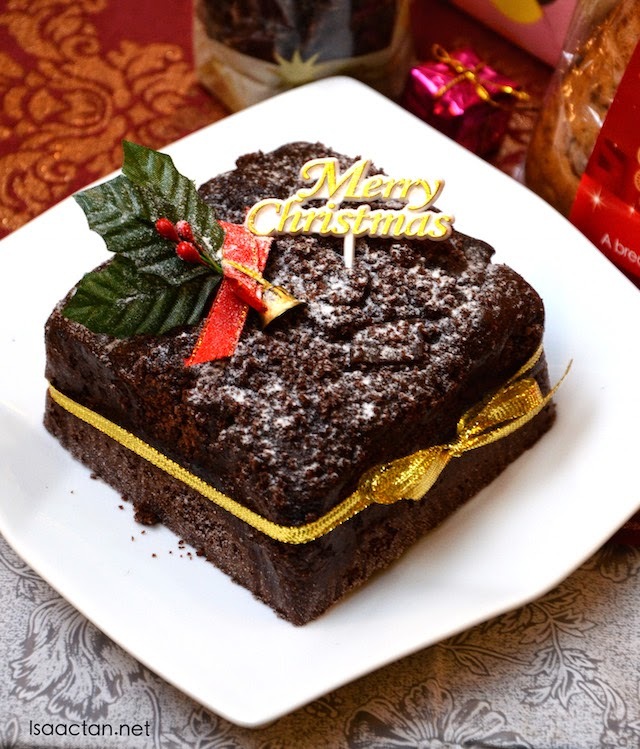 Perfect to indulge during the Christmas season, these sweet offerings should make a pretty good gift. These tea cakes were deliciously moist and soft. 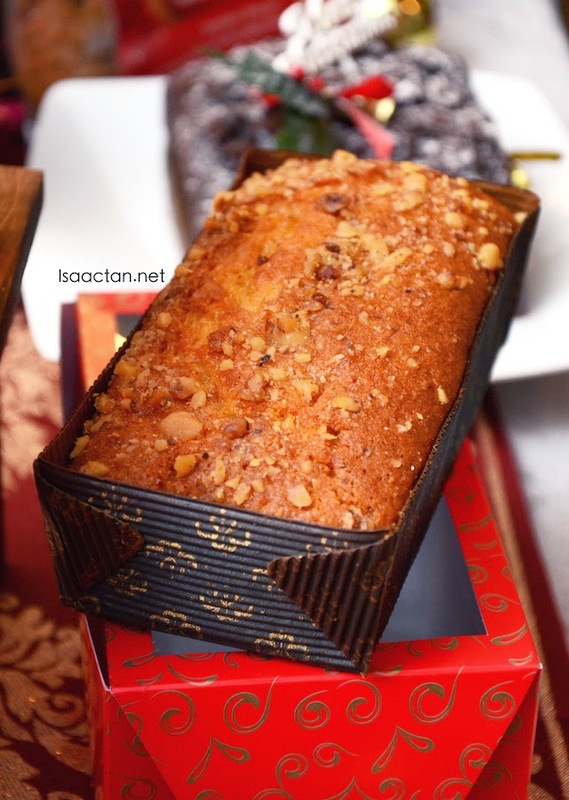 The Salted Caramel Tea Cake is topped with walnut while the Double Chocolate Tea Cake is topped with chocolate chips for those who love everything 'chocolatey'. Perfect to be taken as an afternoon snack with a cup of tea or beverage, I do think they look real tempting, don't you? 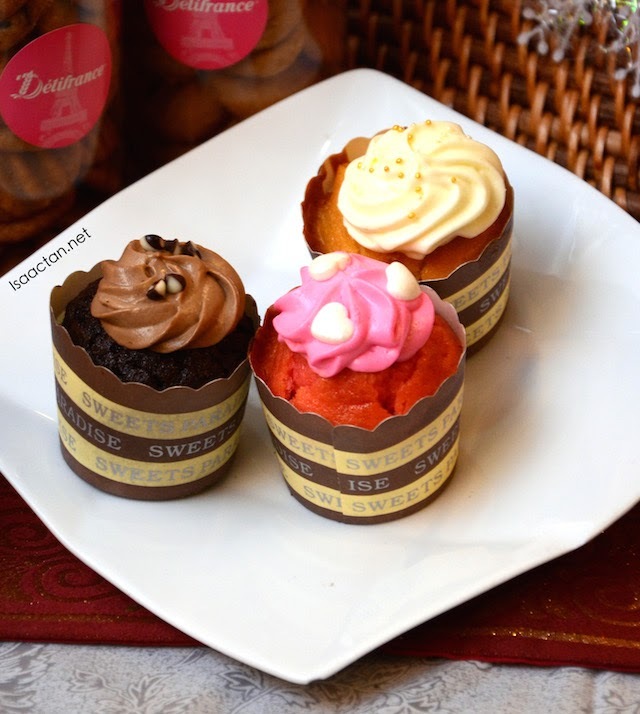 Cupcakes are a Malaysian favourite, which Delifrance took to offer at RM5 each. I am not a big fan of cupcakes though, as I find it too sweet most of the time. These moist cupcakes are topped with icing, with three flavours to choose from - vanilla, chocolate and strawberry. 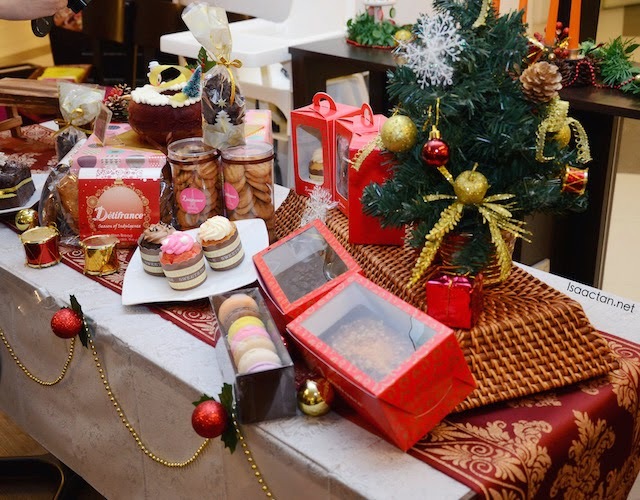 Fret not if you think Delifrance Malaysia's Christmas Menu only focused on sweet stuff, as there are Christmas menu sets too. Each of the set menu comes with F&N Seasons' Iced Lemon Tea. Check out the rather yummy Provencal Lamb Stew shown above, where the lamb is grilled then drenched in brown sauce and served with a side salad. 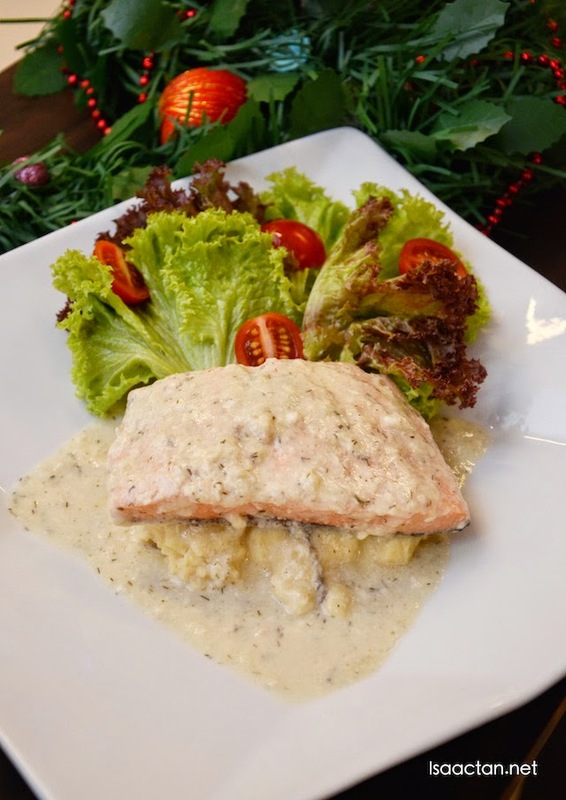 Salmon lovers must try out this dish from Delifrance, the Poached Salmon with Creamy Dill Sauce. The salmon fillet is first poached and then garnished with dill sauce, placed over some mashed potatoes with salad on the side. Done just right, this is indeed a tasty dish to have for Christmas. At a rather appropriate pricing of RM15.90, this spaghetti dish comes highly recommended. 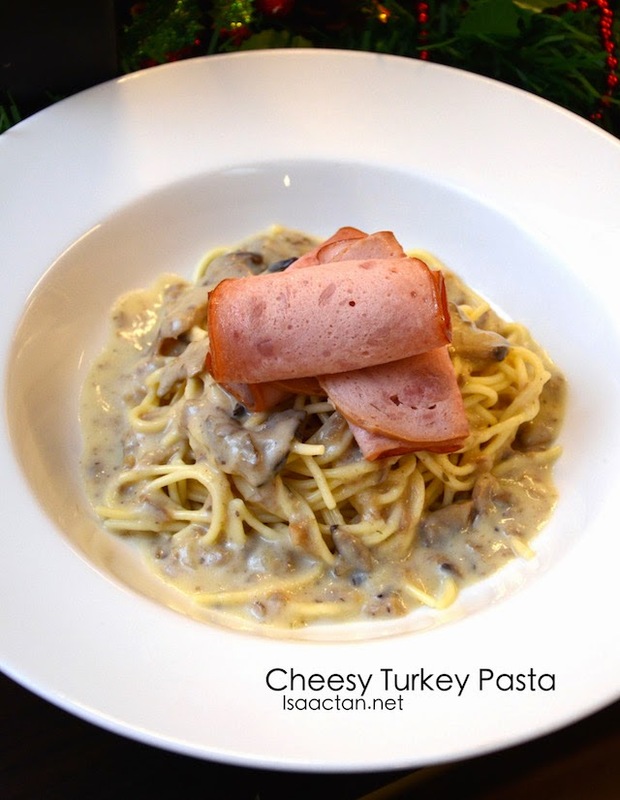 The Cheesy Turkey Pasta is tossed in cheese sauce and then topped with strips of roasted turkey ham. I could do with more of that delicious turkey ham slices though, as three pieces isn't enough. 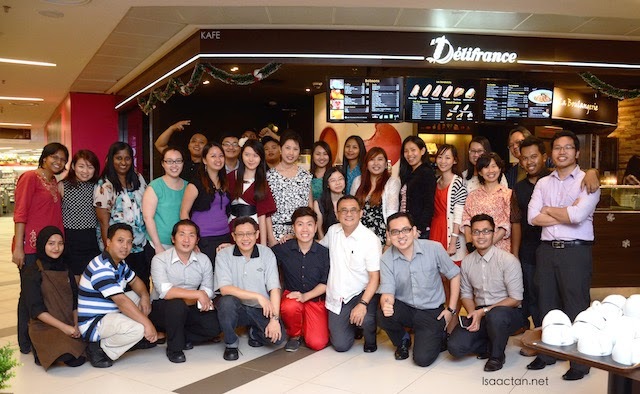 Overall it was a good evening out with bloggers and friends over at Delifrance Malaysia Avenue K to sample their Christmas menu. I truly enjoyed diving into those sweet desserts and savoury dishes. Do try out their fares at any of their 15 outlets across Malaysia, 11 being in the Klang Valley itself. For more information do log on to their website at www.delifrance.com.my or their Facebook page at https://www.facebook.com/DelifranceMalaysia . One for the album, Merry Christmas people! 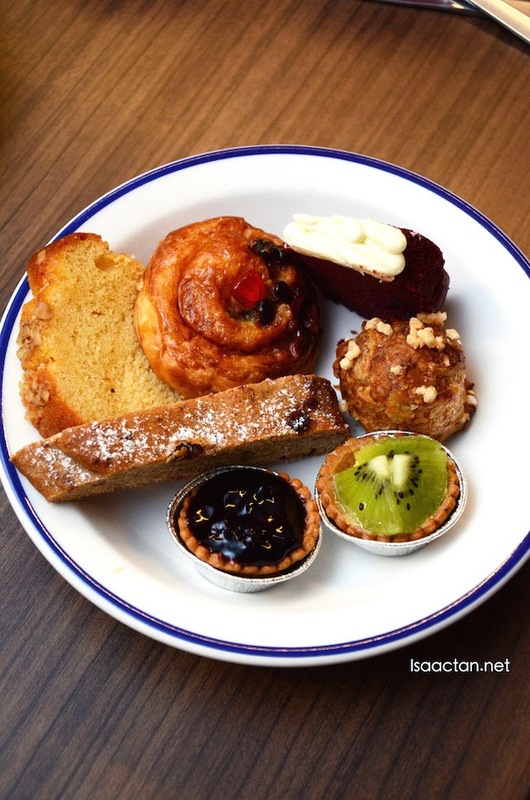 Oooo....I love Delifrance! You have my mailing address? Wink! Wink!